Here is a map contains territory of Russia. interesting map of Ust'-Eriya with gps calibration here. free map of Tashelan here. free map of Tashelan displayed. topographic map of Shene-Busa presented. map of Novoil'insk free download. topographic map of Mukhor-Tala и OziExplorer calibration free download. interesting map of Kundyulyun calibrated here. 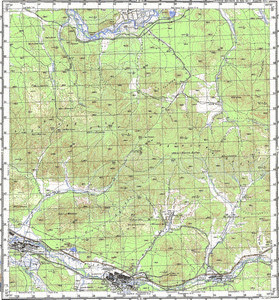 detailed map of Karymka 1 cm to 1 km displayed. detailed map of Il'ka this. free map of Eriya и OziExplorer calibration download for free. actual map of Darkhita this. map of Dodo-Gol this. interesting map of Sakhalin this.